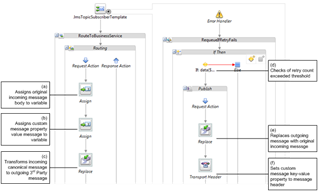 This article describes the design of a reliable messaging solution for SOA integration projects. 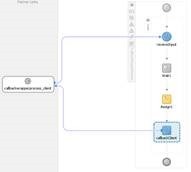 It uses concepts like canonical schemas, durable POJO (Plain Old Java Object) messages, publish-subscribe and error handling within the Oracle SOA, Oracle Service Bus and WebLogic JMS infrastructure. For consistency, the type of message we are publishing will be based on a canonical schema. Typically, you would have a JDeveloper project that stores the canonical schemas used by all your custom applications. These schemas could be version-controlled, e.g. by Subversion, as well as deployed to MDS as a SOA bundle. Sample JDeveloper project containing canonical schemas shown below. In this article, we will use the employeeWorkSchedule schema as our message type. We publish our message to JMS from ADF applications. To simplify the process of using Java to construct message objects based on our XSD canonical schema, we use the JAXB (Java Architecture for XML Binding) tool from JDeveloper. As shown in Figure 2a below, select the XSD file, right-click and select “Generate JAXB 2.0 Content Model”. Read the complete article here. Maarten Smeets posted a nice article describing asynchronous interaction in BPEL and BPM using WS-Addressing and correlation sets. I wanted to use Service Bus 12c to force the callback to go through a Service Bus proxy instead of going directly to the consumer. This can be useful when the target service should not have the ability to call services outsite of its trusted domain or network. All sources can be found in my GitHub repository. WS-Addressing provides a way for message routing and correlation using SOAP headers. It is an official specification. Service Bus, SOA Suite, JAX-WS and quite a lot of other frameworks and tools support it one way or the other. There are two versions of WS-Addressing: 200508 and 200408. In the request the ReplyTo specifies the address where the reply must be send to (or http://www.w3.org/2005/08/addressing/anonymous if no reply address is specified). The MessageId headers contains a unique id which can be used to to correlate the request to a future callback. In the callback the RelatesTo header contains the original MessageId. There are others headers for example Action which are important, but for creating an asynchronous interaction ReplyTo, MessageId and RelatesTo are all that are required. SOA Suite 11g and 12c support WS-Addressing (don’t mention SOA Suite 10g…) and provide out of the box correlation support. Using BPEL no code is required to use WS-Addressing for correlation (both as consumer and as producer). A SOA composite will implement an asynchronous webservice (a fire & forget request followed by a future fire & forget callback). It will be exposed using a Service Bus project which will ‘hide’ the implementation for the outside world. For example the SOA composite might be running in a local domain, while the Service Bus project migt be running in a SOA CS cloud instance. This will allow to SOA composite to only receive traffic from ‘trusted’ networks and the Service Bus will handle all security. This will be the test setup, where SoapUI will play the external consumer: Read the complete article here. To many old fashion JDeveloper developers using Maven is a new and obscure thing as JDeveloper has his own build system and does not require ANT or Maven as a build or deployment tool. However if it goes to continuous integration with many small integration automatic builds done daily than using ANT or Maven is inevitable, of which Maven is newer and more popular. Unfortunately for SOA/OSB 12c developers, other popular IDEs, like NetBeans, Eclipse or IntelliJ have much better Maven support than JDeveloper. Still relaying on his old build and deploy system, and using somewhat hybrid approach on integrating Maven, JDeveloper has a lot of issues when it comes to creating new Maven based projects and build them. Moreover Maven problem does not ends with JDeveloper when it comes to proper working of Maven with OSB architecture but it spans whole Middleware architecture. Typical continuous integration lifecycle is composed of several phases like: 1. Merging source code files from different source control branches (typically one or more branch for each developer) into one integration branch, 2. Deploying merged and consolidated integration branch back to the source control system, 3. Executing Hudson/Jenkins build job that has been triggered by post to version control system in integration branch 4. Jenkins plugin executes Maven command line to do: compiling, testing, packaging, and deploying of different projects belonging to the same application. Therefore we can see that for continuous integration lifecycle to work properly it is not enough to be sure that Maven works from JDeveloper but also from the command line to be able to port our build environment to dedicated integration machine. In this article I will try to explain Maven setup and necessary workarounds in order to enable proper functionality of Maven in both JDeveloper and command line environment within our SOA/OSB 12c Middleware installation. When wi install our OSB 12c development environment JDeveloper is included in installation. When we open JDeveloper upon installation and we create our first OSB Application/Project we will see that maven build file (pom.xml) is already included in project. We can get wrong impression that Maven support is here and is working correctly. Read the complete article here. 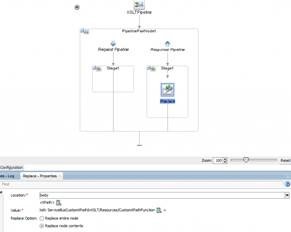 How can you create custom XPath functions in Oracle Service Bus 12c? And how can you use these in both XSLT and XQuery? Let’s find it out. I like to show you how they’re different in behaviour. The context of my post comes from one of my projects, where we were migrating quite some (stateless) services from the SOA (BPEL) platform to Service Bus. Since our clients were already ‘virtualized’ to our clients (i.e. clients invoked them through the Service Bus), we could easily change the implementation platform without changing the service contracts. For the transformation, we were reusing the existing XSL transformations, so a couple of the custom XPath functions had to be made available in Service Bus. Additionally, we were also introducing the DVM (Domain Value Maps) as a replacement for a custom coded lookup-implementation, created when DVMs did not yet exist. For this purpose, we had to create a custom XPath wrapper function, in order to implement some custom logging that the customer did not want to lose. In the reply element I have three different child elements, the first contains the untransformed contents of the input string and the second contains the base64 encoded contents. The last element contains the value after invoking the decode operation on the encoded string, to verify that the inverse operation restores the original value. Read the complete article here. We have some customers which only use OSB – and not SOA Suite. When you want to patch – should you look only at WLS and OSB-patches? The answer is no. One such reason is documented on MOS: Should the SOA Bundle Patches for 11g and 12c be applied to OSB (Doc ID 2102449.1). It states: In 12c, since OSB services can use JCA technology adapters, there is value in applying the SOA Bundle Patches where fixes to these adapters are included. The other reason is because JDeveloper has common features in the two products. For example SOA patch 22226040: java.lang.NullPointer for XQuery File ver 1.0 in JDEV 12.2.1 OSB Proj – is one you would like to use for OSB on 12.2.1. The problem is shown in our blog post: OSB Patch. If the patch does not work – remember to do the cleanup-steps mentioned at the end of the blog. My advise is to create a predefined Patch Search in MOD so you can monitor existing patches. Here are some of my searches. One good thing you can see is the last time you searched. For example for OSB – then WLS, SOA and OSB are relevant. My advise is to order patches so you see the latest updates first, and that you at least should add the recommended patches. Read the complete article here. Some time ago I was having a discussion about the setup of a SOA project on which a former colleague was about to work on. The purpose of this project was to implement a synchronous service API for a third party systems to integrate with. This API needed to conform to a B2B standard (written some ten years ago) and in their particular case, it would need to provide data from their legacy ERP system. The API description consists of several different ‘business operations’ where their request messages come in over HTTP in a variety of predefined formats, e.g. as an HTTP GET operation where the parameters are encoded in the URL string or sending an HTTP POST operation where the request message is contained in the body: in both cases, the response is handed back as an XML message. In order not to exclude third party systems, both flavours of operations would need to be implemented. One of the other requirements for the API was that it needed to implement an operation to list all operations that it currently supports, together with the endpoints on which these operations need to be invoked. One of the current implementation of the third party systems they were looking to integrate with was quite quirky in that it required all operations to have the exact same endpoint. So, it was a tough choice to either exclude this system from the possible clients and create a ‘proper’ implementation where all operations have their own endpoints, or to provide an implementation where there’s only one endpoint that basically functions as a dispatcher for the different operations. As we were discussing the project and its requirements, it turned out that their internal IT department had already started development using Oracle SOA Suite, as their skills in BPEL were ‘the hammer that made this problem look like a nail’. However, my feeling was that this project would actually be much better off by the introduction of Oracle Service Bus to transform different message formats into a generic XML representation (and depending on the complexity: implement the message flows entirely in Service Bus or offload the more complicated ones to SOA Suite). As I am somewhat branded by my background in chemistry, I will show my proposed implementation using some ‘chemical’ webservices from WebServiceX as an example. For the backend implementation, invariably the SOAP implementation of the service will be used. For my convenience, I am reusing the XML structures that are provided by the WebserviceX implementations, saving myself the hassle of transforming the messages structurally or with respect to their namespaces. The sample project was built using Oracle’s 12.1.3 Virtual Image, downloadable from Oracle Technology Network. Read the complete article here. Of course we can connect using the Exchange Web Services (EWS) using the OSB, but that is loads of work. Luckily there is DavMail. DavMail is an gateway that sits in between Exchange and your third party mail clients. Using DavMail, you can connect using simple POP3 or IMAP protocols to DavMail which in turn connects to Exchange using the EWS. 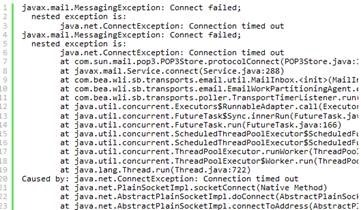 DavMail is build in java, and runs happily on WebLogic Server. So, download DavMail’s WAR distribution for SourceForge. Unpack the WAR-file and edit the properties file in WEB-INF/classes. Set is to run in Server mode, and let it know where the EWS is: Read the complete article here. In this blog post, I will provide a general introduction of REST, explain some of the choices made and lay some of the ground work. The second part of this blog series will discuss the token management part while the third and final part describes the actual creation of the SOAP services providing the proxy to the external REST APIs. 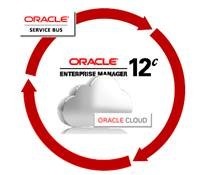 With the introduction of SOA Suite 12c, the Oracle JCA REST adapter was introduced for use in both SOA and Service Bus 12c. This enables SOA developers to expose REST interfaces to their service consumers. A study by the Oracle A-team shows that in certain scenarios response times on mobile platforms may be reduced by an order of magnitude by consuming REST services instead of their SOAP equivalents. However, using the REST adapter you cannot only expose REST interfaces to your own service implementations (inbound REST), but you can also consume REST services (outbound REST). In this series of blogs, I will demonstrate how I implemented a use case of “outbound” API management for a proof of concept, where the REST services were exposed as SOAP web services to our internal clients (which are largely “REST unaware”). An additional dimension is provided by the fact that the REST APIs invoked are secured by OAuth 2.0, so also some token management is needed in order to successfully invoke the service. I am glad you asked. As SOAP has quite a number of standardized extensions in the realms of orchestration and security, this is very much “terra incognita” in the REST world. Well, not really. As REST is leveraging the HTTP protocol as the transport mechanism, a first step in security would be to use HTTPS (HTTP over SSL) to prevent an intermediary from eavesdropping on the communication between the service and the client. However, this will only prevent the interception of messages, it does not provide the server with any method of determining the origin of the request. Using HTTP Basic Authentication may be an option to force the client to sent some identification to the server, but the problem is that this scenario is not very useful for application to application message exchange as it does not provide options to provide temporary access or to revoke the access. Enter OAuth, “an open protocol to allow secure authorization in a simple and standard method from web, mobile and desktop applications.” Version 2.0 of this protocol has been published in 2012 and is widely in use for securing access and authorization to services, e.g. Google, LinkedIn, Facebook, Dropbox and Paypal to name a few. What is REST? And how does if differ from SOAP? Well, first of all REST and SOAP are intended to access (remote) Web Services. Where SOAP is a heavy-weight protocol, involving predefined message structures and formats, REST is defined very loosely as an “architectural style”. Messages transmitted to SOAP web services are always encoded as XML data structures, whereas the payload in REST can be either XML or JSON. The latter seems to be the preferred format nowadays, I came across a site describing JSON as “The Fat-Free Alternative To XML“. A definitive differentiator is the very good integration capability the platform provides: It has a broad spectrum of connectivity adapters to integrate with third party enterprise information systems, like SAP, Siebel, and JD Edwards, and also cloud solutions like Salesforce. In addition, the platform comes with a standalone, first-class Service Bus component that can be used for service virtualization. This enables customers to create and edit new integrations efficiently and helps to adopt new trends or concepts, like cloud, very fast. Aside from that, the platform also addresses business needs (process automation with BPEL), allows for further transparency for business transactions (audit trails, Business Activity Monitoring) and provides rich capabilities in the direction of fault handling and resiliency. The product allows you to visualize how a company is working currently by providing rich possibilities for analyses such as the audit trails and real-time integration and business insights, and therefore shows where improvements might be valuable. This becomes more and more important for companies to differentiate themselves from competitors. The Integrated Development Environment (IDE), which is JDeveloper in this case. Also, the integrated development environment could be better in some points such as the stability and the comprehensibility of errors. I’ve used it for over eight years in different projects, in different industrial sectors, and with different project focuses, ranging from pure integration scenarios to process automation and optimization projects. Read the complete article here. This article explains how the process of doing performance measurements of an OSB Proxy Service and presenting them in a “performance analysis document” was partly automated. After running a SoapUI based Test Step (sending a request to the service), extracting the service performance metrics was done by using the ServiceDomainMBean in the public API of the Oracle Service Bus. These service performance metrics can be seen in the Oracle Service Bus Console via the Service Monitoring Details. Furthermore this article explains how these service performance metrics are used by a PowerPoint VBA module and slide with placeholders, to generate an image, using injected service performance metric values. This image is used to present the measurements in a “performance analysis document”. In a web application we had performance issues in a page where data was being shown that was loaded using a web service (deployed on Oracle Service Bus 11gR1). In the web page, an application user can fill in some search criteria and when a search button is pressed, data is being retrieved (from a database) , via the MyProxyService, and shown on the page in table format. Based on knowledge about the data, the business owner of the application, put together a number of test cases that should be used to do performance measurements, in order to determine if the performance requirements are met. All in all there were 9 different test cases. For some of these test cases, data was being retrieved for example concerning a period of 2 weeks and for others a period of 2 months. Because it was not certain what caused the lack of performance, besides the front-end, also the back-end OSB Proxy Service was to be investigated and performance measurement results were to be documented (in the “performance analysis document ”). It was known from the start that once the problem was pinpointed and a solution was chosen and put in place, again performance measurements should be carried out and the results were again to be documented. Read the complete article here.